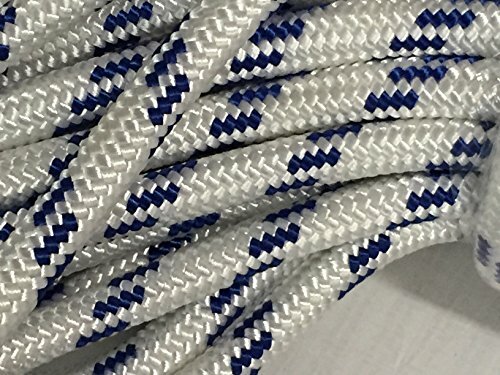 This is one brand new, never used 3/4" by 150 feet double braided polyester arborist bull rope. White with blue tracers. Tightly braided for abrasion resistance. This is an excellent line for tree rigging and pulling. Made in the USA.